Trade-in sale! Save 25%! Trade-in units are thoroughly tested units that have been lightly used as demo, reviewer, customer or dealer units. They come with a 6 month warranty. Trade-in units are non-returnable. LIMITED TO SALES WITHIN U.S. Checking in at just 3.5” x 3.5” x 1.25”, our uDAC packs a huge amount muscle into a small package. Using the same ESS DAC technology as our larger DAC-2 series, the uDAC delivers smooth, quality sound whether its low-rez internet radio or high-rez component streaming. 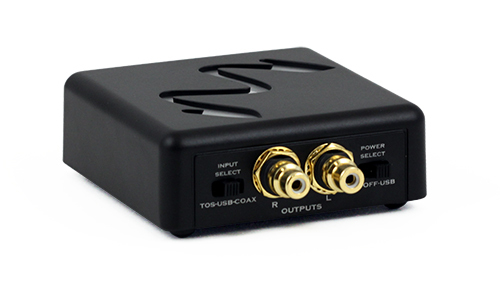 With two S/PDIF inputs that support 24-bit 192-kHz signals, as well as an asynchronous USB for computer streaming, the uDAC delivers much of what the big boys offer, but with a smaller footprint and a lower price. If you’re just dipping your toe into better-quality digital music -- or maybe sharpening up a small computer music system -- the uDAC is the solution for you. Wyred 4 Sound µDAC: The Best Sub $500 DAC? 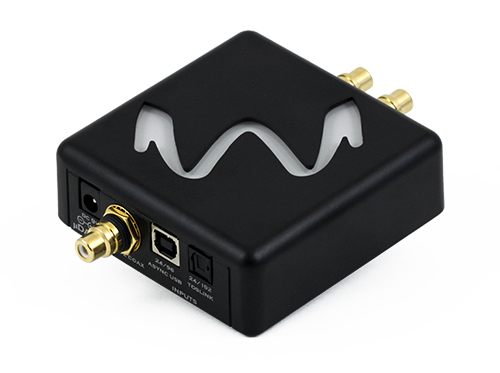 It really is the perfect little desktop DAC, and for that, I’m awarding it an Editors Choice Award.